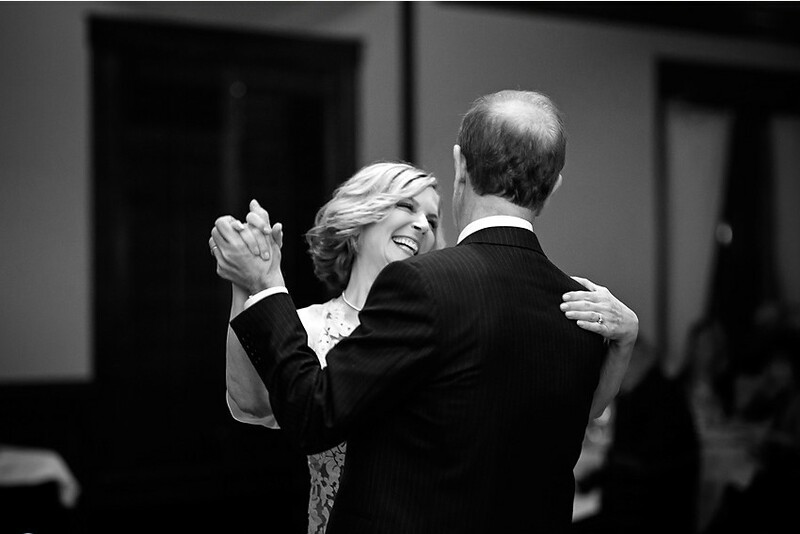 Each month I help different couples prepare to dance at their wedding. This is an especially fun thing for me to do. For most couples, this is an exciting time and I get to feed off their affection for each other. However, not everyone is completely sure about this "First Dance" idea. To them, the thought of dancing in front of friends and family can be extremely intimidating. Subject: Private dance lessons--we need help! I getting married next March, and both Jill and myself have 2 left feet. Can you help with private lessons? All we want to do is a slow dance. We are not teenagers. We will have a DJ for entertainment and my guess is that our guests will make us dance. Do you think this would work for 2 people with four left feet? From the "four left feet" comment, I assumed there was some anxiety about this. I also took notice of the statement "My guess is that our guests will make us dance." From that, I assumed that Mark was concerned about dancing in front of everyone. That made sense because typically it is the man who worries the most. When I first met Mark and Jill, to my surprise, Mark seemed okay with the idea. But I wasn't completely wrong. It turned out Jill was the worrier. She wasn't so sure this dancing stuff was a good idea. So, yes, occasionally the lady is the one who is more worried. Jill expressed serious reservations about her dancing ability. I smiled and reassured her. "Don't worry, this is a lot easier than you might think." Jill wasn't so sure. "You may change your mind after you see us dance." Mark said they wanted to dance to the Frankie Valli classic Can't Take My Eyes Off of You. I listened and told them a Foxtrot would work the best. Mark nodded. "Okay, let's give it a try." So of course we started with the Box Step. Mark and Jill did fine with the Box Step, but the "Turning Box Step" gave Mark considerable trouble. That was a surprise to Jill because she assumed Mark was "The Dancer" in the family. It was a real eye-opener that dancing did not come effortlessly to him either. I explained to both of them that the Turning Box gives everyone fits, but not to worry, just keep doing it till the move clicks. Mark was okay with that idea. He kept dancing the move over and over and over till finally it began to work. I was impressed with his determination. Jill on the other hand slightly panicked when the Turning Box didn't work right off the bat. She seemed so glum. My impression was that she was convinced something was going to go wrong and this first obstacle proved her worst fears were correct. I do not know what happened to Jill to cause her to fear partner dancing, but I could tell someone had damaged her confidence along the way. Let me tell you a story, ladies. 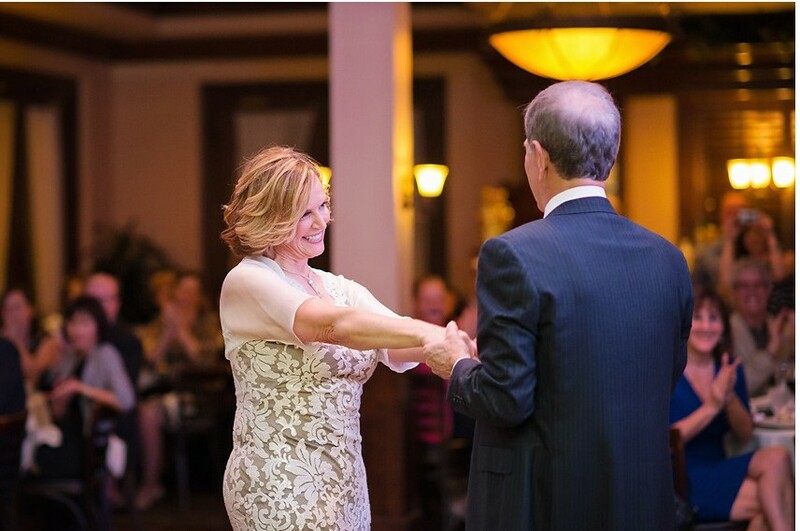 My wife Marla gets compliments on her dancing all the time. Marla is an excellent dancer. However, her previous boyfriend was very critical of her dancing. He had her convinced she was terrible. The mind is such a funny thing. Once some negativity sneaks in there, it can be very difficult to cure. The funny thing is that Jill had no reason to worry. She was picking up the moves at exactly the same rate as most other women. I told her that, but she didn't believe me. Someone had put a negative thought in her brain about dancing and that thought wasn't going to be dislodged very easily. At the end of the lesson, Mark asked how much they owed me. I said he had a choice. The rate for an hour was $50. However, if he paid me $200, that would cover five hours of lessons. I told Mark that most of my couples opt for the five hours. Not only was the price fair, by paying up front there was a psychological benefit that comes from committing to five lessons as opposed to one at a time. Mark agreed. Five lessons it would be. The second lesson went better. Mark had practiced that Turning Box during the week and seemed closer to mastering it. However I still had to make some adjustments. By the halfway point of the lesson, Mark had it. This breakthrough allowed us to make better progress. We had time to learn the Diva Walk and the Back Step Basic as well. The third lesson introduced the Peekaboo and the fourth lesson introduced Sliding Doors. They now had enough material to fit the music. The fact of the matter was that Mark and Jill had equal talent when it came to learning to dance. The difference was that Mark wasn't intimidated when a move didn't work immediately while Jill was. Jill would go "Woe is me!" and Mark would simply roll up his sleeves. Mark assumed he would get it eventually and Jill worried she might never get it... but she always did. One day Jill said she just couldn't go through with it. Her nerves were shot. She was too old for this kind of stress. Mark looked to me to rescue things. Mark knew better than to say anything. If someone had to die, better it be me. So I explained to Jill that a Wedding Dance is a social ritual. It is there to demonstrate to the world that two people love each other. Jill interjected, "I love Mark, but this is an ordeal!" I said I agreed some social rituals were tough. I told Jill about the Tlingit Indians in Alaska. One of their ancient coming of age rituals was to drop a teenage boy on a deserted island for an entire week with nothing more than a hunting knife. It was up to the boy to survive the test. Jill immediately turned to Mark, "Mark, darling, would you be upset if I went to live on an island in Alaska for a week instead of dancing with you? Would that be enough to convince you of my love?" "Sure, honey, I would go with you. That would give us an entire week to practice our dance." I held my breath. How would Jill react? Thank goodness, Jill laughed. We got back to work. That incident marked the turning point. I had discovered a secret... Jill liked sarcasm. I found if I could make Jill laugh during her struggles, things went much better. However, I could tell the thought of performing in front of her friends still had her deeply worried. During the third lesson, Jill and I had a long talk about the benefits of wine and dancing. She seemed much happier when I said a glass or two of wine would probably be a good idea. Anything to calm the nerves. Jill tried to mask her thoughts, but I could tell she was still dreading this dance. 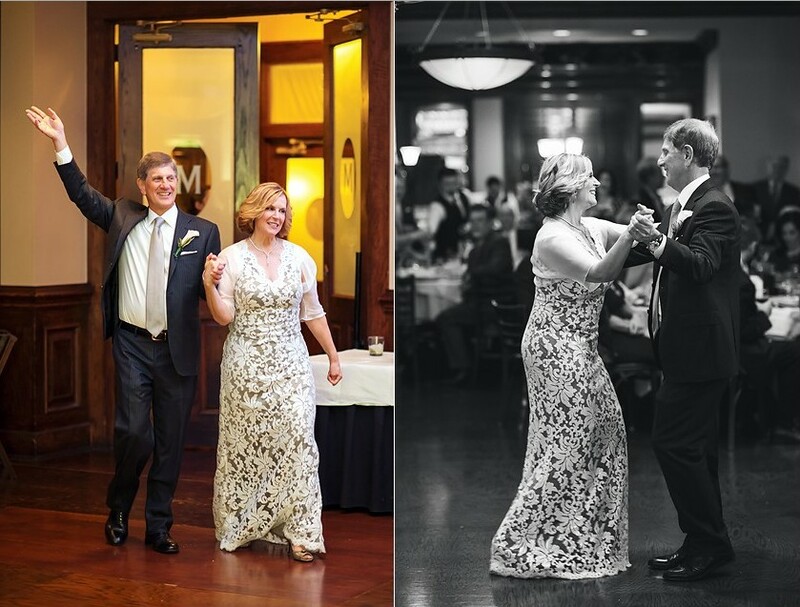 By the fourth lesson, Mark and Jill had their wedding dance pattern locked in. All they needed now was practice and polish. We videotaped their routine and Mark said he intended to study it between now and our final lesson. The fifth lesson went very well. I made them do their pattern over and over again until it began to move from their brains to their muscles. Mark's work ethic was excellent. He didn't seem to mind the repetition at all. As for Jill, she seemed hopeful. She was still worried some catastrophe might befall her, but she sensed they had a fighting chance to make this work. So now it was time for "The Talk". I got their attention and told them to keep two things in mind. The first thing was that they were bound to make a mistake. I told them everyone makes a mistake during their wedding dance. It's true... everyone flubs something! Heck, I made a mistake during my wedding dance. I heard someone whisper a compliment on one of the moves that Marla and I did. I wanted to see who liked my move and looked up. In that instant, I forgot where I was in the pattern. I think I ended up stepping on Marla's dress. Oops. Fortunately, I followed my own advice. Rather than try to "rescue the move", I simply stopped and started the move over again. Best of all, I smiled. I have learned that the guests are ridiculously forgiving at wedding dances. They don't care if people make mistakes. No big deal. In fact, some people think it's cute when the dancers flub up. I'm not sure why, but the mistake seems to endear the dance couple to the audience... as long as both dancers laugh about it. Indeed, it isn't dance perfection that the observers really care about. What they want to see is how the couple reacts to their mistake. As long as the wedding couple smiles and laughs about it, then everything is okay. 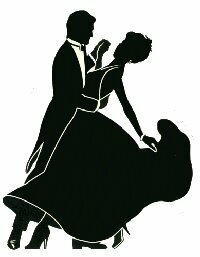 I believe how each couple reacts to a wedding dance mistake is a considered an omen for how a couple will handle the inevitable problems of marriage. My second point was to always smile. I told Jill that no matter how nervous she was, all she had to do was smile. The guests don't expect the dancers to be perfect and they don't expect a "Dancing with the Stars" caliber routine. What they want is to see the wedding couple look happy out there. That is the purpose of the First Dance ritual... to demonstrate two people's love for one another. Yes, it is a burden to be expected to put on a show, especially for people like Mark and Jill who don't generally dance in their daily life. However, the rewards are wonderful... the First Dance makes everyone smile and laugh and cry. It is a good ritual. I might add that I am glad Mark and Jill picked a cool song. In future years, the Wedding Song assumes an unusual importance in the relationship. It reminds both people of how hard they worked to make a success out of their first dance despite their lack of experience. It is rewarding to overcome an obstacle together. I say rather than fear the First Dance, embrace it. Pick a song that makes you happy and enjoy the process of learning to dance to it. There is an old saying that we fear what we don't know. Most people assume the Wedding Dance is going to be an ordeal to learn, but it is actually nowhere near as difficult as people believe. Five lessons seems to get it done for everyone. Yes, I remember one couple that failed. They gave up and didn't come to all five lessons. What they didn't know is I would have donated more lessons if they had just stayed with it. Fortunately, this couple was the exception. Five lessons may seem like a lot, but I have never had a couple fail if they were willing to take their time. The five lessons are well worth it. Five lessons allows us to learn at a relaxed pace and give the moves plenty of time to sink in. The patient approach makes all the difference in the world. So how did Mark and Jill do? Well, they say a picture tells a story. Let's have a look. Mark wrote back that his dance with Jill went very well. He added that they only made one mistake. Hey, par for the course! Like I said, everyone makes a mistake. The important thing is to learn what to do when the mistake occurs.... don't panic, let the man stop and start over, and SMILE. I was never worried about Mark. He seemed to actually look forward to the event. When I saw the pictures of their wedding dance, my hunch was confirmed. all smiles and ready to enjoy the attention. Unfortunately Jill's demons seem to follow her out on the dance floor. She seems tentative. Her expression seems to say, "Let's get this ordeal over with." The first steps seem to go okay. Jill is smiling and she looks very pretty in her lovely dress. But she looks worried. She is smiling, but it is an obvious mask. As for Jill, since her back is turned, who can tell? Mark is good at this... great eye contact and great smile. Can't take my eyes off of you!" I think Mark's affection on the floor has worked wonders. She is so beautiful here. Notice the guests are clapping and smiling. They are enjoying watching Mark and Jill as they dance. The guests love seeing a happy couple. I can almost guess what Jill is thinking. "Gee, this wedding dance isn't so bad after all!" I think Jill has conquered her fears. What a difference... she is so natural in her demeanor. This is a wonderful picture. Jill is beaming and relaxed. Her happiness is a joy to behold. I could not possibly be more proud of her. All that preparation has paid off. The dance went well and Jill is thoroughly charmed by the moment. It is truly wonderful to see Jill shine. This girl is in love. By the way, the wedding dance was successful. We had only one screw-up. Great pictures! Maybe it is just my imagination, but they seem to tell a story. Jill looks tentative and unsure of herself at the start. Then she has a polite smile in the second picture. In the next to last picture, she seems utterly charmed by you� a very sweet picture indeed. In the final picture, Jill appears ecstatic and really happy. Pictures really do tell a story!! By the way, did you notice the smiles of your friends in the background? Rick---you are very perceptive! Your analysis is right on. We had 100 people at the wedding; every last one said it was the best party they ever attended! I have never seen so many old folks up and dancing in my life. I danced all night long---I was more confident on the dance floor than ever in my life. I even danced with a former Dallas Cowboy cheerleader.